Heeg - Heeg에 위치한 호텔. Heeg의 지도, Heeg에 위치한 호텔에 대한 사진 및 리뷰. Heeg에 호스텔, 저렴한 호텔, 아파트, 게스트 하우스, B & B를 찾고 계십니까? Heeg의 모든 최고의 가격은 kr.Dorms.com안에 있습니다. 매달 수천명의 여행자들이 이곳에서 예약을 진행하시듯이 고객님도 Heeg의 저렴한 가격에의 호스텔을 안전하게 예약하실 수 있습니다. 웹사이트에 고객님이 원하시는 핫 트렌디 시내 주변의 호스텔을 쉽게 찾을 수 있으며, 대학가, 기차역, 공항, 모든 Heeg의 관광명소에서 가까운 호스텔을 찾을 수 있습니다. 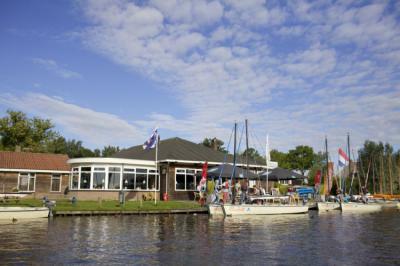 Stayokay Heeg is situated on a former island on the edge of Heegermeer, the largest lake in Friesland. It’s the perfect spot to learn how to sail, rent a boat to sail yourself or sail with a the help of a skipper. Heeg is a quiant village with beautiful harbour and wonderfully surrounded by water. The beds are okay but comfortable, breakfast was good. The location is right by the harbour, easy to rent boats and there are a lot of activities to do. Great for families with kids.